One of the most popular forms of inexpensive advertising for small businesses is the pay-per-click (PPC) model. Unlike traditional advertising in which you pay a flat fee or subscription for banner space, you only pay for PPC when a user actually clicks through to your site. What they are seeing and clicking on is between you and your online venue, which is very often a search engine like Google. Working with a search engine, you combine SEO keyword targeting and thoughtfully constructed ads that will appear when users type your keywords into a search. To make PPC work harder for your small business, however, there are a few more things you should know and implement. In this article, we’ll go beyond basic ad setup and into detail about the PPC customer journey, using PURLs to improve PPC conversion, and settings you can tweak to optimize PPC for business growth. A great PPC campaign is nothing without a proper understanding of the customer’s journey from paid click to on-site conversion. In fact, a study found that 86 percent of senior-level marketers expressed the critical nature of creating a cohesive customer journey. Before you can begin improving that journey, you must first ensure that the funnel is wide open and unimpeded. And second, you need to implement a system of checks and balances to analyze and nurture the funnel along. Successful PPC campaigns generally start out with a strategy including ad groups, keywords, and targeting. But to be able to analyze how PPC-derived visitors make it through the funnel, you must make sure tracking systems are in place before you launch a single ad. Make sure you have correctly installed code snippets such as your Universal Analytics Tracking ID. If you connect Google Analytics with Google AdWords, you can share Goals (Analytics-based Conversion Tracking) with AdWords and apply them as trackable conversions for PPC campaigns. You may opt to only utilize AdWords Conversion Tracking, in which case you should check to see if you have installed the correct AdWords conversion code (because you could have more than one) on the right pages of your site. This would typically be the “Thank You” or “Confirmation” pages. You should consider utilizing Tracking Templates (aka ValueTrack parameters) for your campaigns. This can be done at scale when using tools such as AdWords Editor and Bing Editor. AIDA is a funnel formula that is commonly applied to digital marketing activities. The AIDA funnel has four components: Awareness, Interest, Desire, Action. BigCommerce founder Mitchell Harper spoke at length about AIDA and its applications in marketing in a recent webinar which is now publicly available on YouTube. He delves into greater detail with regards to mapping AIDA to your marketing funnel. 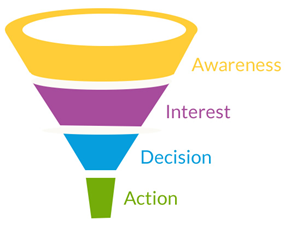 When applied to managing and optimizing PPC campaigns, the AIDA funnel can help you visualize each layer of the customer journey, and a unique mindset/emotional state of a potential converting visitor can be applied to each point in the funnel. By being able to connect with the mentality or emotional state of your potential customers as it applies to the AIDA funnel, and before they ever even see your ads, you can gain a unique perspective on the steps they take to finalize their path. Now that you have completed the “preemptive strike” steps prior to launching a successful PPC campaign, you’re ready to tackle the measurement of the customer journey itself. While there are several tools out there that can assist with this, here are some foundational ones that will help you optimize PPC for your small business. If you aren’t using Google Analytics then you are completely missing out. There is truly no substitute. In Google Analytics there is a specific section dedicated to understanding not only the PPC customer journey but also the journey from any source/medium. It’s called Behavior Flow, and it is a very clean and simple map of the path visitors take from landing page to final interaction. Similar analytics features you may also find beneficial include Landing Pages, Exit Pages, and Custom Reports. 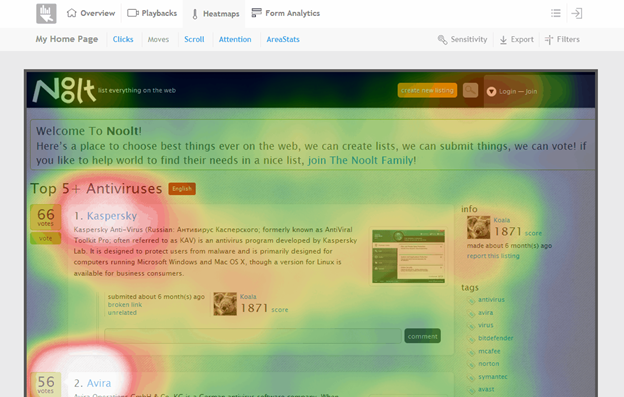 One of the more popular heatmapping tools is MouseStats. Their suite of tools includes Session Recording with Visitor Playback and Heatmaps. You can watch your visitors as they journey through your site and you can also see where visitors are clicking most often. Both of which could be invaluable to your analytics. Once the reigning supreme king of A/B testing, Optimizely lets you experiment with variant page/landing page options and analyze on-site behavior in a comparison environment. However, Google just released the native AdWords- and Analytics-integrated Google Optimize. This free-to-use tool has all the same, excellent benefits of enterprise/paid A/B testing platforms out there, but it also allows for seamless integration with both AdWords and Analytics. When forging new customer relationships and building conversions, you have to consider every step of the discovery and decision-making process. Acquiring new customers starts at a point out of your control, when their circumstances cause them to search for one of your keywords. Perhaps they got hungry and looked up local delivery services, or their water heater broke and they need repairs. When their problem arises, your PPC ads will be there at the top or side of the search results page, ready to offer your services. If the content of your listing appeals to them and they click through, you pay a small fee to the search engine for the fresh new lead. This is only the first step in the PPC customer journey. The PPC conversion is complete when they submit an order, not when they click the link—and the in-between steps matter. Where are you sending your visitors? When a customer clicks on your PPC ad, where do you take them? Where you send customers is determined by the URL connected to the ad—this is referred to as your landing page. Many companies simply use their website homepage as their PPC landing page, and this can work if the homepage addresses what the visitor is looking for. If you offer something straightforward, like appliance repair, and your homepage proudly states your services, work hours and contact information, then you have effectively informed the user that they are in the right place. In most cases, though, it makes more sense to use a specific product page. However, most sites don't consider the composition and conversion qualities of the landing pages they use. What if you could create a different introductory experience for each set of keywords you targeted? To a certain extent, you have probably already begun to do so by sending different specific product searches to sales pages. But you can go further than that. With clever website design and PURLs, you can strongly influence the conversion journey from the moment your page loads. A PURL, or "Personalized URL," is a unique web address that directs traffic to a specially designed and responsive page. The PURL—which looks like https://keyword.domain.com—renders a unique landing page or microsite for the target, and enables marketers to track individual responses. PURLs can also result in higher PPC conversion rates than standard landing pages with vanity URLs because the page content is personalized and targeted. PURLs can also be used to A/B test page layout designs. If you offer a variety of products or services, try making a few different website backgrounds and themes that look good on all pages. Then, based on the search words used, custom tailor your ad and link to appeal to the people who would search for that. As an example, consider a pet adoption center. Their clients primarily have dogs or cats, so they make two site themes: one with a friendly dog background and one with a kitty peering out from around the page content. When search engine users search for “adopt a cat” or “kittens in St Paul,” they’re directed to the adoption page with the cat theme. The same process is used for dog-specific searches. This personalizes the website experience based on the user's point of entry. For many types of services, leads will be looking for a quick price comparison but will ultimately need a custom quote for their specific circumstances. When the purpose aligns with the keywords, you can use your PURLs to send customers to a custom quote page. 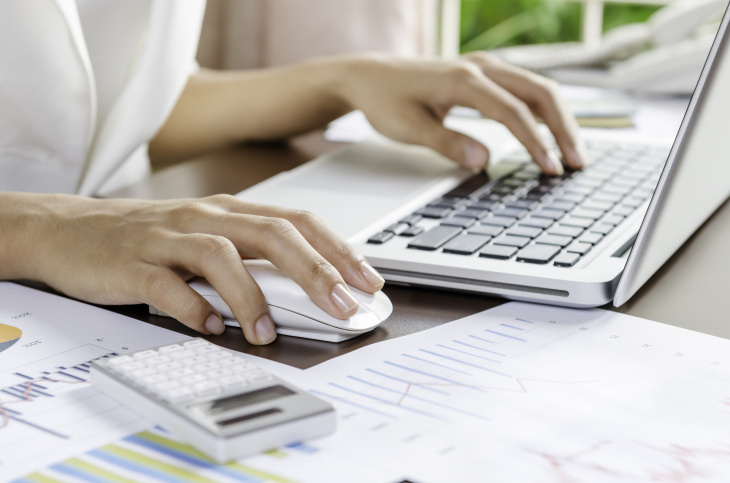 Here, you can use data at hand to either estimate a quote for them or offer a quick and easy form. 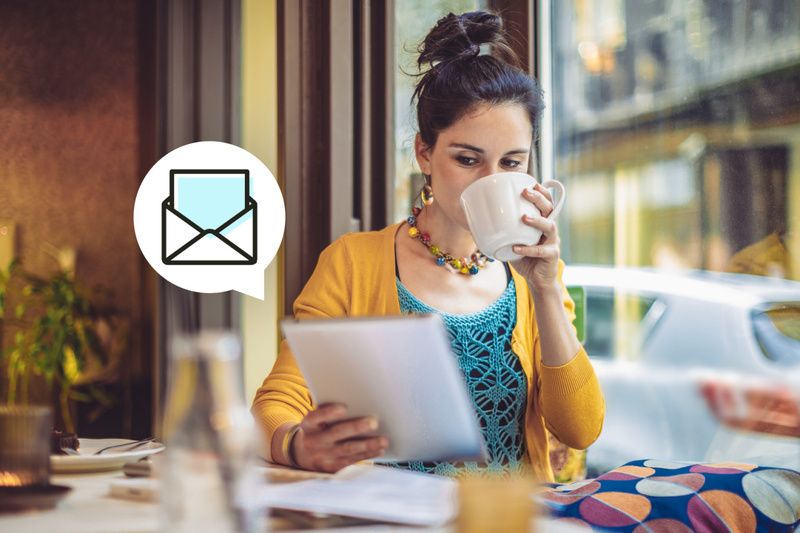 This funnels customers looking for a quote straight into personalized service. If a customer has a question you haven't predicted but your service looks appealing, they are at a decision crux. If you offer them fast and friendly answers, they are more likely to stay instead of seeking a different solution. With PURLs, you can greet visitors with a live chat window ready to discuss their search topics or guide their purchase. This is especially helpful when keyed to questions that contain your keywords. Say you are a flooring company and your ad responds to “wood,” “floor,” “kitchen,” and “?”'. Anyone who has a question that fits these criteria can be PURL-sent to a page about your wood floors with a chatbox that asks them "Can we help you with your wood floor?" PURLs are powerful tools when used correctly, and when combined with PPC, they allow you to hand-tailor each and every new client experience from the moment they click your link. Many small business owners are hesitant to adopt PPC advertising because it feels like an expensive channel. But you don’t have to spend thousands of dollars a month to see a big return on your investment. A great way to limit your spend is to have your ads run only during certain times of the day. How you determine those hours is up to you. For example, some businesses do better-running ads only during the hours they’re open. If you generate most of your business through phone calls, it doesn’t help having people call when you’re not there. In other instances, your best bet might be running ads only during the evening hours. If bigger competitors run their ads primarily during the day, clicks will most likely be more expensive due to competition. If those advertisers slow down during the evening, it could be your chance to score some less pricey clicks. As long as your potential clients or customers are able to reach you effectively, tweaking the timing of your ads can bring in some cheaper traffic. 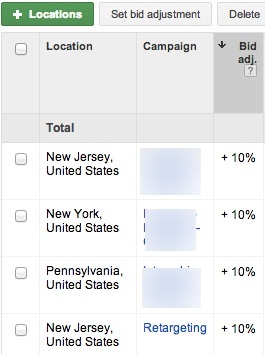 In both Google AdWords and Bing Ads, you can get very specific with geographic targeting in your campaigns. You can also use something called “bid modifiers” to emphasize or deemphasize your ads in different areas. For example, let’s say your business is located in Houston, Texas, but you can serve customers throughout the state of Texas. You’ve noticed over time that customers from Dallas are more profitable, and customers from San Antonio are less profitable. With bid modifiers, you can adjust your campaigns to bid more aggressively on searchers in Dallas, and less aggressively on those in San Antonio. This will help you be more visible in areas of higher profitability, and less visible (without losing all coverage) in areas with lower profitability. Depending on your business, there could be a nearly limitless range of keywords you could bid on. But to maximize a small budget, you'll have to prioritize to get the most bang for your buck. Long tail keywords: Keywords with 3 or more words in them are typically considered “long-tail” keywords. They are more specific and require the searcher to have put in a bit more thought into their search query. Using these types of keywords usually results in lower cost-per-click and higher quality searchers. The trade-off is that because these are more complicated search terms, the volume of searchers for these phrases is smaller. Stricter match types: To get started, target your keywords in only Exact or Phrase match. This will reduce the number of impressions you’ll show up for, but should make the number of clicks from unqualified customers go down. Action-oriented searches: Just like in the two examples above, you should focus on bringing only the most relevant searchers to your site. Sticking only to action-oriented keywords such as “buy widgets online” can help reduce the number of clicks from people doing searches for informational purposes. Most advertising platforms sort devices into three categories: computers/desktops, tablets, and mobile. Depending on how your website is built, it might appear similar across devices, or it might behave differently. If your website is mobile responsive, it might be a good idea to test targeting mobile devices and see how they perform. If your site isn’t mobile friendly, it might be best to stay out of those auctions. Currently, Bing Ads allows advertisers to choose which of the three device categories they would like to target, and you can create separate campaigns for each device category. Google AdWords is a bit different. Google forces advertisers to target all devices in the same campaign and allows for a mobile bid modifier, similar to the geographic modifiers above. The one thing to remember is that Google considers desktops and tablets the same. If you bid on desktops, you’ll have to bid that same amount on tablets. If nothing else, at least make sure your site is tablet-friendly (responsive is best if you have the technical help available) before bidding too aggressively in the Google auctions. Both Google AdWords and Bing Ads have something called a Search Partner Network. Basically, these are sites are approved by Bing or Google to use their search results. In some instances, these networks can be fabulous ways to bring in more sales. But if you’re operating on a small PPC budget, to begin with, you might want to opt out of these networks initially. Once other aspects of your account are performing well, these extra networks might be worth a test. PPC advertising can be a small business’s best friend. To make the most of your PPC budget, start with customer journey mapping, use PURLs, and adjust your ad settings to zero in on the most qualified traffic.